William Drabble shares his sunny Mediterranean sea bass recipe, inspired by his travels in the region. "I created my dish after a trip to Sicily," he explains. "Tomatoes, basil and black olives is a typical combination in Italy; it is very simple, but it works like magic when the ingredients taste as good as they do there. I was having tomato and basil everyday, be it in a Caprese salad, in pennette with tomato sauce, in caponata, or in a pizza Margherita... and I absolutely fell in love with their stuffed vegetables. 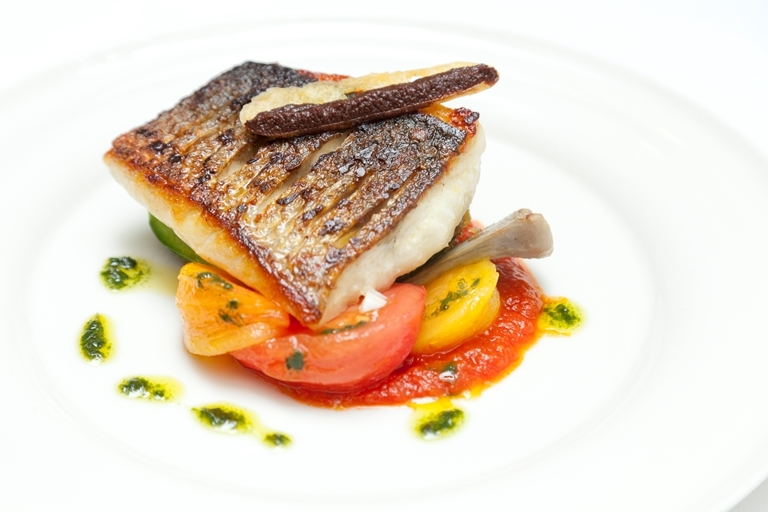 I have incorporated those magical flavours into my sea bass dish (now on the menu at Seven Park Place)."